Known Human Carcinogen. Asbestos has been classified as a known human carcinogen (a substance that causes cancer) by the U.S. Department of Health and Human Services (HHS), the U.S. Environmental Protection Agency (EPA), and the International Agency for Research on Cancer (IARC). 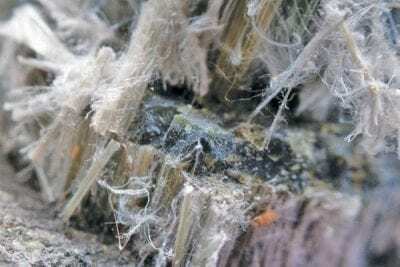 According to IARC, there is sufficient evidence that asbestos causes mesothelioma (a relatively rare cancer of the thin membranes that line the chest and abdomen), and cancers of the lung, larynx, and ovary. Although rare, mesothelioma is the most common form of cancer associated with asbestos exposure. There is limited evidence that asbestos exposure is linked to increased risks of cancers of the stomach, pharynx, and colorectum. Asbestos Exposure. Asbestos exposure may also increase the risk of asbestosis (an inflammatory condition affecting the lungs that can cause shortness of breath, coughing, and permanent lung damage) and other nonmalignant lung and pleural disorders, including pleural plaques (changes in the membranes surrounding the lung), pleural thickening, and benign pleural effusions (abnormal collections of fluid between the thin layers of tissue lining the lungs and the wall of the chest cavity). Although pleural plaques are not precursors to lung cancer, evidence suggests that people with pleural disease caused by exposure to asbestos may be at increased risk for lung cancer.